Liz Troxclair has been a fixture for Stewart Title in the Elk Grove area for nearly 15 years. 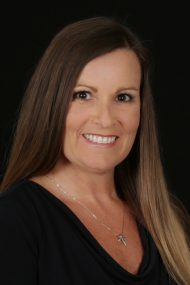 While having owned her own business for years, Liz came to Stewart to build a reputation of professionalism and reliability, and that is exactly what she’s done. Consistency and follow up are key ingredients to Liz’s long term success. Furthermore, Liz understood immediately that greater knowledge of escrow would further her career and bring her closer to her customers. Having spent countless hours learning the process has been most valuable for Liz, for she now can help bring solutions to problems and help customers understand the documents they are signing, thus bringing about a smoother transaction. She now adds value to every call she makes and every customer with whom she connects. Moreover, Liz’s communication skills are outstanding and are integral in helping her become a partner to each of her clients. Liz is a proud member of the Stewart Title family.